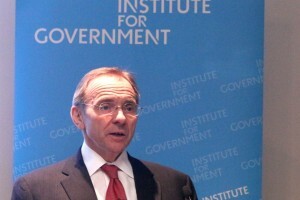 On Monday (2 February), I gave a speech at the Institute for Government setting out my priorities as Chief Executive. I talked about some things I've observed almost 4 months into the job, what I've been doing and what I want to achieve. We start from a good base: the Civil Service has many highly intelligent and capable people, and we've made huge progress in the last few years on everything from our commercial capability to digitalising public services. But we have much further to go to meet the challenges ahead, starting with improving execution across government. It's a big challenge for all of us - and an exciting one. If you have time, do click on the link below to hear what I said in more detail. IfG: John Manzoni sets out his priorities as chief executive of the Civil Service.